merry christmas families - Go Fit Girl! | Go Fit Girl! Our Christmas “gift” to our families this year was a donation to a Berkeley women’s day drop-in center. 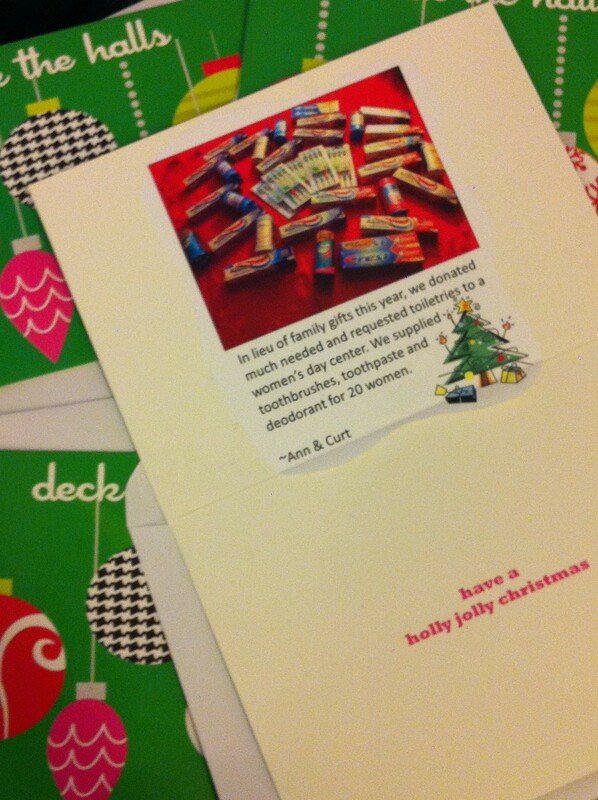 Curt and I donated toothbrushes, toothpaste and deodorant for 20 women in honor of our families.